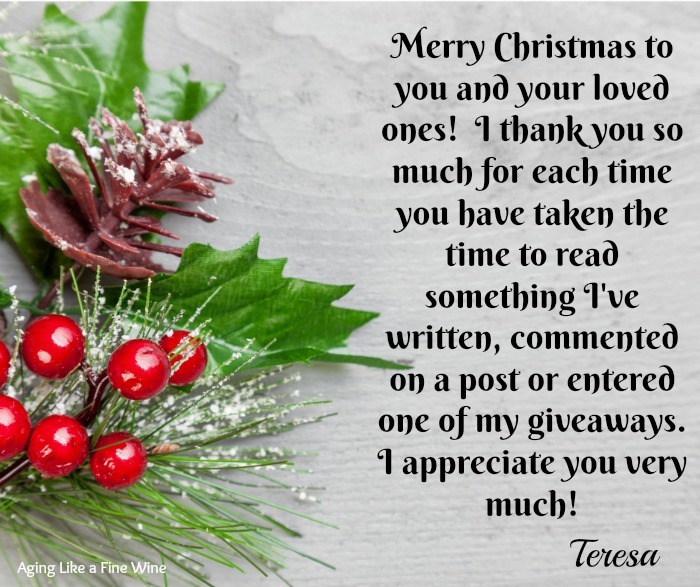 Merry Christmas Teresa. I love your posts. Very informative and entertaining. Keep up the good work!